When you think of a sculpted garden you likely imagineabout the lush gardens around a castle with mazes and strategically placed beautiful statues. Plan the permanent portions of your yard before you start on the details. Things like fences, paths and evergreen plants will be what keep your yard looking inviting even in the colder parts of the year. Making sure that the permanent portions are well established and agreeable will help you plan for the rest of your yard. Having a yard that is symmetrical is what creates the classic look. Having two sides of your yard that mirror each other make the yard look well thought out and balanced. Symmetry also maximizes the space of smaller yards. In addition to symmetry style, sculpted gardens include simple geometric designs that imitate the ancient Greek and Roman architecture. Right angles for all aspects, including the skeleton and straight lines draw the eye to different parts of the yard that you want to emphasize. 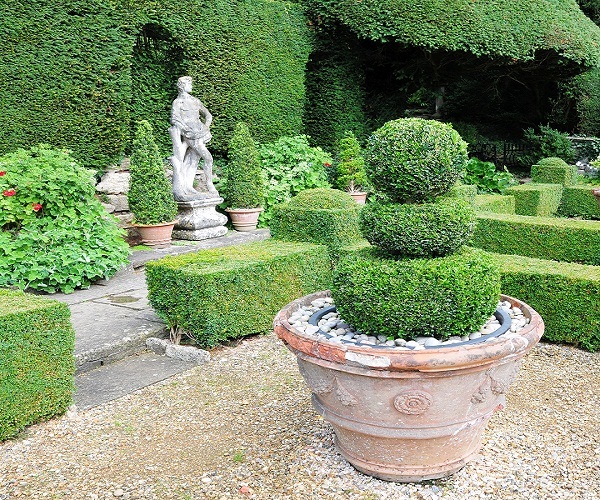 Using repetition and variations of a few themes and shapes make the garden look elegant. You can use the shapes of your house, such as the roof or window designs to build on the layout of your garden. These shapes can be echoed in not only the paths but also in the design of the flower beds and shrubs. You want the proportions of the greenery to be balanced over the entire yard, particularly in terms of mirroring the sides. You also need to consider things like the skeleton into the proportions so that all elements are balanced. Do you want to refurbish your backyard? Visit California Fence Company blog for 5 amazing design elements to help you style a classic garden. Elizabeth is the Owner of California Fence Company, a leading vinyl fence company in Orange County. She is committed to providing the best customer service and high quality installations of vinyl fences for her clients. The company also offers a wide variety of fencing options, including duramax vinyl fences and chain link fence installation. This entry was posted in Gardening Tips and tagged Home & Garden, outdoor Decoration, Sculpted Gardens. Bookmark the permalink.